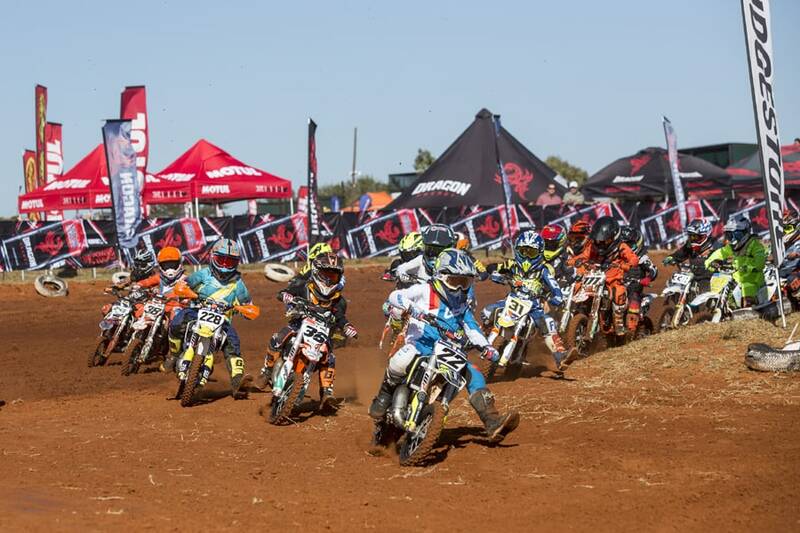 BLOEMFONTEIN 2018 – Q4 Fuel Husqvarna Racing’s Caleb Tenant was by far the most dominant rider taking four holeshots and four victories in the two Premier Classes, namely MX1 and MX2 at the record breaking 3rd round of the TRP Distributors SA MX National Championship at BORC in Bloemfontein on Saturday 19th May. There were big fights behind him though, most notably in MX1, the one between his team mate Matthew ‘Maddy’ Malan, Red Bull KTM’s Kerim Fitz-Gerald and Leopack Transports Jayden Ashwell in heat one. Heat 2 saw 2017 MX1 Champion Tristan Purdon of Out of Africa Yamaha come through for a second place ahead of Malan. Tennant was untouched as stated, but the Premier MX2 Clas saw some of the best action of the day with a close battle between Fitz-Gerald and Out of Africa Yamaha ace David Goosen for 2nd and 3rd place. Ride of the day arguably came from Nic Adams who came out of the first turn twice in second place behind Tennant, but unfortunately just couldn’t hang on to the usual suspects. Race two also saw a possible new threat coming to the front in the form of ABE Midas’ Slade Smith who ran third until about 2 laps to go and unfortunately not being 100% healthy on the day, just could not fight off the epic battle behind him between Red Bull KTM’s Joshua Mlimi, Fitz-Gerald, Purdon, Lights By Linea’s Anthony Raynard and Alfie Cox Motul Racing’s Bradley Cox. In other classes, MX3 saw Dewald van der Berg take 1-1 to close the gap between himself and Ian Topliss. In the Ladies Class, Leah Heygate became the first lady rider to win a heat overall this season and beat the Senior Support and MX 2 Stroke Support riders as well as her championship rival Kayla Raaff. Amy Sawyer took 3rd but crashed in heat 2 allowing Jenna Bohling a chance to get onto the Ladies podium. Reagan Wasmuth and Justin Sangster. Heat 2 was like a rerun of the first heat and Venter held out for great 1-1 overall. Joshua De Hutton lead Pro Mini by a long way in race 1 but a small mistake cost him the win which went to Dylan Kirk. Race 2 was about the come back of championship leader Jonathan Mlimi followed by Kirk and Swaziland’s Blake Young. Kirk took the overall after a solid 1-2. In 85cc Juniors, the battle in heat 1 was between Emmanuel Bako, points leader Troy Muraour and Wesley McGavin. In heat 2, Luke Grundy, who had a crash in heat 1, put the squeeze on Bako and managed a second. Bako had a flawless overall for the day.65cc was a very close affair seeing local rider Wian du Plooy do everything he could to win the first heat and get back and close the gap to Lucca Mynhardt and Emmanuel Bako. But in race two Mynhardt came back to win by 0.010 seconds. du Plooy’s 1-2 earned him the overall for the day. 50cc was shared with win a from Andrea Mynhardt and Nicol Smit respectively but Mynhardt’s 1-3 would give him the overall. 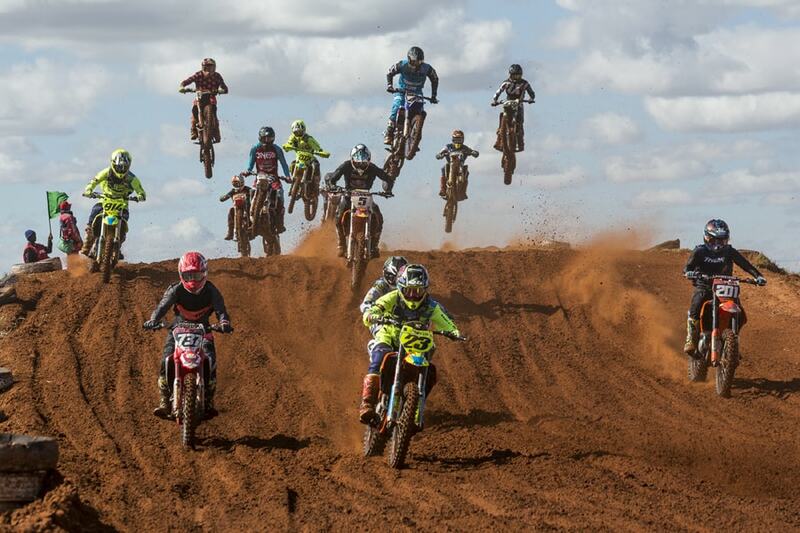 Results – 2018 TRP Distributors SA MX National, Round 3 Bloemfontein. 1. Caleb Tennant (Husqvarna) 50 pts; 2. Matthew Malan (Husqvarna) 42 pts; 3. David Goosen (Yamaha) 39 pts. 1. Caleb Tennant (Husqvarna) 50 pts; 2. 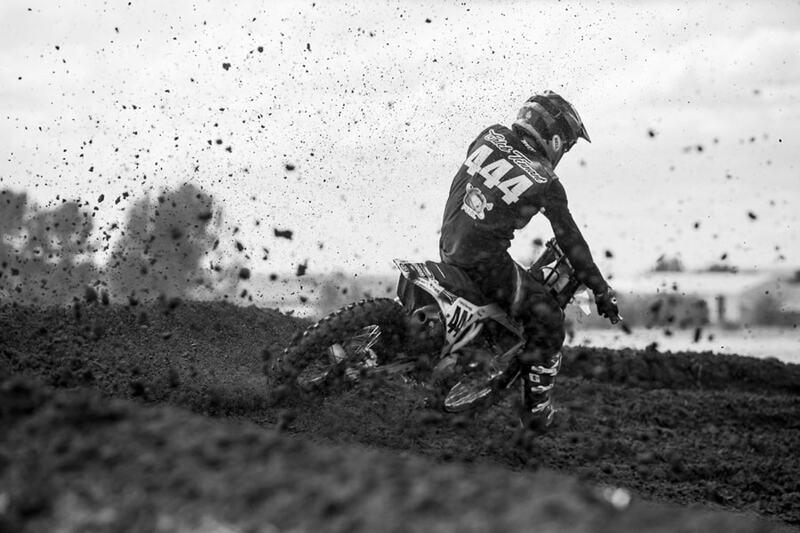 David Goosen (Yamaha) 44 pts; 3. Kerim Fitz-Gerald (KTM) 38 pts. 1. Dewald van der Berg (Husqvarna) 50 pts; 2. Ian Topliss (Yamaha) 44 pts; 3. Brett Bircher (KTM) 40 pts. 1. Leah Heygate (KTM) 50 pts; 2. Kayla Raaff (KTM) 44 pts; 3. Jenna Bohling (KTM) 38 pts. 1. Dalton Venter (Husqvarna) 50 pts; 2. Regan Wasmuth (KTM) 44 pts; 3. Justin Sangster (KTM) 40 pts. 1. Dylan Kitk (KTM) 47 pts; 2. Jonathan Mlimi (KTM) 43 pts; 3. Josh De Hutton (KTM) 41 pts. 1. Emmanuel Bako (Husqvarna) 50 pts; 2. Troy Muraout (KTM) 41 pts; 3. Wesley McGavin (KTM) 40 pts. 1. Wian du Plooy (Husqvarna) 47 pts; 2. Lucca Mynhardt (KTM) 45 pts; 3. Emmanuel Bako (Husqvarna) 42 pts. 1. Andrea Mynhardt (KTM) 45 pts; 2. Jack Pullen (Husqvarna) 41 pts; 3. Nicol Smit (Husqvarna) 38 pts.